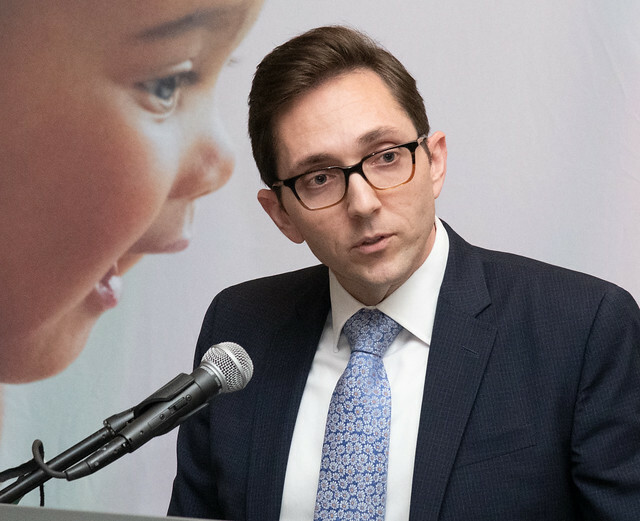 Acting Deputy Under Secretary for Food, Nutrition, and Consumer Services Brandon Lipps speaks at the National WIC Association Leadership Conference in Washington, D.C. USDA photo by Lance Cheung. The value of a healthy start in life cannot be overstated. It’s what everyone deserves and is a critical foundation for a successful and self-sufficient future. At USDA, we deliver on that promise, by ensuring healthy beginnings through the Special Supplemental Nutrition Program for Women, Infants and Children, or WIC. WIC provides vital pre- and post-natal services to millions of moms, infants, and young children through our state partners each year. The program offers nutritious foods, nutrition education, including breastfeeding promotion and support, and referrals to other health and social services to low-income, nutritionally at-risk pregnant women, postpartum mothers, infants and young children up to the age of five. At USDA, we possess a great deal of concrete data and historical knowledge about the benefits of the program; yet to better understand the everyday challenges and experiences of our WIC customers, we did what makes the most sense—talked with them. Over the past few months, I have participated in a series of roundtable meetings with WIC directors, participants, retailers, and other partners from across the United States. They provided ideas on how to enhance the program for participants, and how to better support state and local agency staff. The robust conversation touched on many aspects of WIC, including ways USDA can partner with state and local agencies to improve customer service. WIC, which provides prescribed food packages tailored to the supplemental needs of women, infants, and children at nutritional risk, is unlike any of our federal nutrition assistance programs. It serves as a gateway to good health for many participants, at critical points in their lives. With the extensive level of service provided to each individual comes unique challenges. During our most recent roundtables we heard from local agencies as well as retailers and technology partners who work tirelessly to serve their customers and support WIC participants. We also received valuable input concerning transportation barriers faced by rural and urban clients, challenges participants experience during the retail experience, as well as cultural sensitivities. By addressing the obstacles our clients and partners face, we will be able to better connect families with the access and tools they need to become self-sufficient. A common topic that arose among both retailers and WIC staff included the role technology plays in enhancing services to families. We learned how some states employ mobile apps to improve the retail experience, and how a growing number of states and retailers benefit from the use of WIC electronic benefits or EBT. Roundtable participants expressed an eagerness to work with USDA to continue leveraging new technology and promote innovation to improve service for participants. Engaging in dialogue with our stakeholders enables us to hear and respond to our customers’ feedback. This investment ensures WIC grows healthy kids, one family at a time. As of today 3/26/10, is WIC still available for eligible participants in California? @Gerde Ramos - thank you for your comment and interest. Yes, WIC is available for eligible participants in California. For contacts in your state and others across the nation, visit www.fns.usda.gov/wic/wic-contacts.